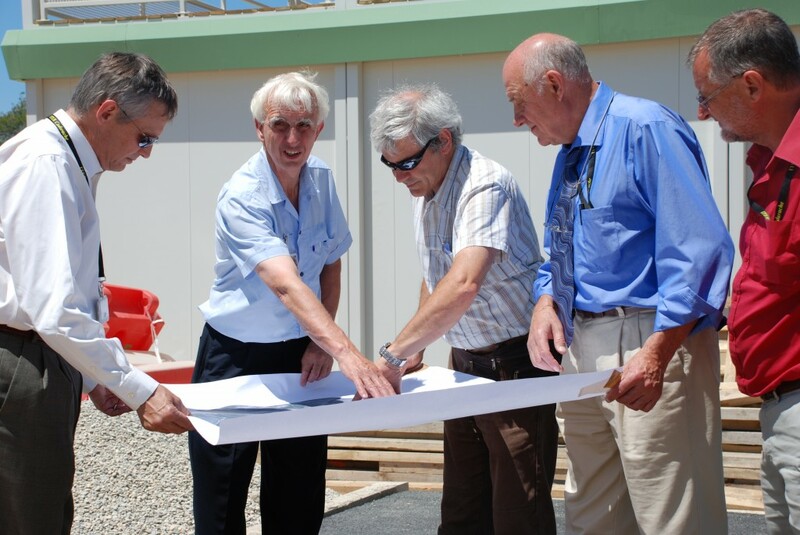 "We are ready to start"
Plan becomes reality: Frank Briscoe's first visit to the ITER site. The Management Advisory Committee (MAC) has commissioned an independent assessment of the resource estimates for ITER construction. This review will be led by Dr. Frank Briscoe whose career in fusion research began back in the 80s. From 1996 his role was that of Operations Director at the UK's fusion centre at Culham in Oxfordshire, with responsibility for day-to-day management of UK fusion programme and JET operation. 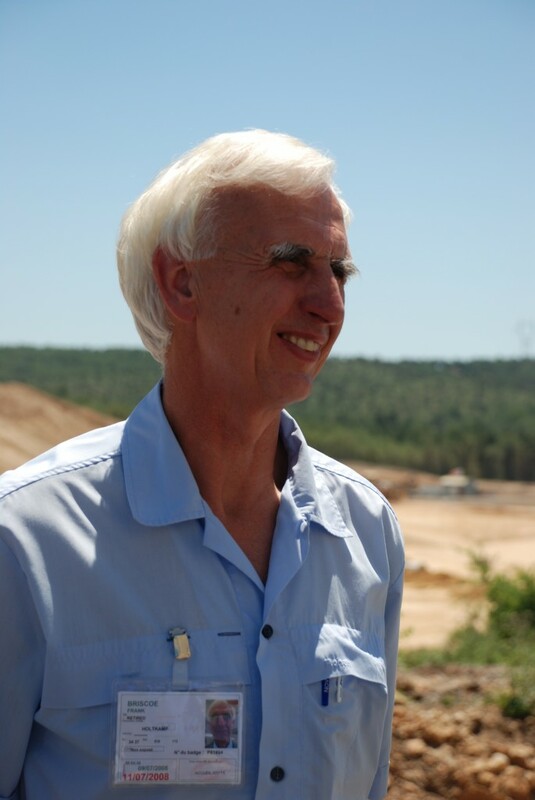 Frank Briscoe also represented the European fusion community in the ITER negotiations, as a site assessor and on other issues such as risk management. Dr. Briscoe, why has this review become necessary? As you know, the ITER Organization has now produced a new scope for the project taking account of design changes and a new schedule for the construction phase, and both of these have been adopted, at least for planning purposes. But the new cost estimate which goes with the new scope and schedule has some large increases compared to the original. So inevitably the parties have asked for it to be reviewed. How will this committee be set up? The review was officially launched at the ITER Council in June and as of today we have nominated members from six of the seven parties. I spoke to a person from the seventh party this morning and understand that they will nominate members within the next few days. So very shortly we will have a full team with about two people from each of the seven ITER parties and we will be ready to start. Who are the nominees? Are they representatives of the governments or independent assessors? We are asked to perform an independent review and in that sense the team members will act as independent persons. But the fact that the members of the review team have been nominated by each party means that they will also be able to represent the interests and views of the parties. Most of the people nominated so far have experience of large projects but not so much fusion projects. I expect that they will bring to the review new ideas which may not so far have been taken into account. What is the timetable for the review? I am asked to report to the next MAC on the 22nd of October, so the review will take place over the next two months. I have been planning our work and at the moment it is proposed that we have two four-day meetings to fulfill this task. The first meeting will take place from the 28th until the 31st of July, the second meeting will take place in the middle of September, probably the 16th to the 19th. That will leave a few weeks to prepare a report for the MAC. How is this review going to be done? The 'Charge' for this review has two parts. The first part is to review the IO's new estimate for its 'own' resources, that is its staff and infrastructure and bought-in services. The second part is to review the IO's new estimate for the direct investment resource, that is the equipment that will be provided by the parties. In both cases we will focus on the increases in these new estimates compared to the original ones. At the first meeting we will concentrate on the first charge and at the second meeting we will concentrate on the second charge. The Domestic Agencies are closely involved in the activities covered by the second part of the charge and so I expect that DA staff will join IO staff at the second meeting in making presentations to the review team. What are your personal thoughts or feelings leading this important review? As a member of the wider fusion community I am of course hoping for a good outcome. However the review itself has not yet started. I have only been in Cadarache these past two days to make arrangements for the review. So at this stage I have a completely open mind.